what, exactly, is that? and what do you do? 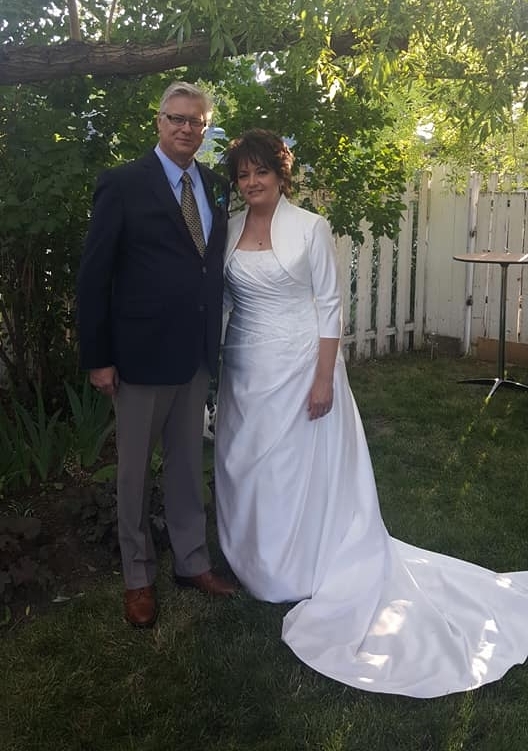 Maybe you are familiar with other position titles, like justice of the peace, JP or celebrant when it comes to someone who performs wedding ceremonies outside of religious institutions. While those individuals can perform wedding ceremonies, my position is referred to as a marriage commissioner. Marriage commissioners are appointed by the Province to provide civil marriage ceremonies. We are appointed to specific communities, though we can perform ceremonies anywhere in Alberta if required. I am appointed for Lethbridge. If you are planning a wedding in another community in Alberta, please check with Service Alberta. Their website lists Alberta communities and marriage commissioners assigned to those locations. Should you find that a commissioner is not available in your chosen wedding site on your date, I would be happy to work with you to provide a unique ceremony to meet your needs. For more information on what that would involve, please visit my Fees page. Although appointed by the Alberta government, marriage commissioners are not salaried employees, nor are they subsidized in any way. What is a civil marriage ceremony? While many couples still marry within the dictates of specific faith groups, there are those who may prefer to wed outside the scope of a religious setting. That's where I come in. Beautiful, meaningful ceremonies catering to the needs and wishes of couples is what I do. It's important to note that marriage commissioners cannot conduct ceremonies that are religious in nature. However, if you would like some element of your faith expressed during a ceremony, we can have a family member or friend share a reading or prayer. I will introduce the individual and, once they are finished, then resume with the wedding ceremony.